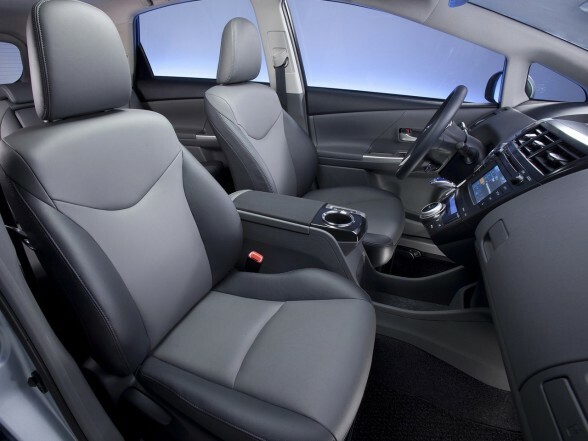 The 2012 Prius V is the latest version of Toyota's mass-produced hybrid electric vehicle. It utilizes the latest Hybrid Synergy Drive system, which pairs a 1.8-litre four-cylinder gasoline engine with a 60 kW electric motor and 27 kW battery to send 134 hp through a continuously variable transmission (CVT). Toyota engineers have reduced smog-forming emissions by 66% when compared to the average new vehicle. 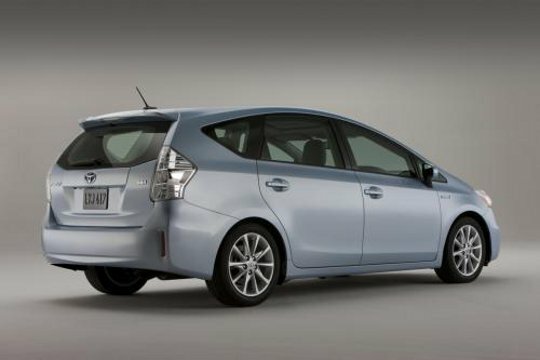 Under optimal conditions, Toyota claims the Prius V attains a combined fuel economy of 4.6 litres per 100 km. Over 165 km of real world driving in urban and rural Quebec, I manage 5.95 L/100km. The CVT is smoother and quieter than before and the driver can choose from four driving modes (normal, eco, power and EV) that affect how the vehicle responds to driver inputs. Eco adjusts air conditioning settings and throttle position for the best fuel economy. EV mode lets you drive on electric power alone for short distances at speeds up to 40 km/h -- stabbing the accelerator cancels the mode, however, though the transition from EV to gas engine is seamless, unlike other hybrid vehicles. Power mode provides more direct electric power steering settings and throttle as the PCU boosts drive voltage to a maximum output of the 650 volts. It's loud and whiney on the road, however, as the CVT winds farther up the power band. It works best as a push-to-pass feature.